Biotin is a member of the B vitamin family and is regularly found in foods like nuts, legumes, some cereals, liver, and even egg yolks. 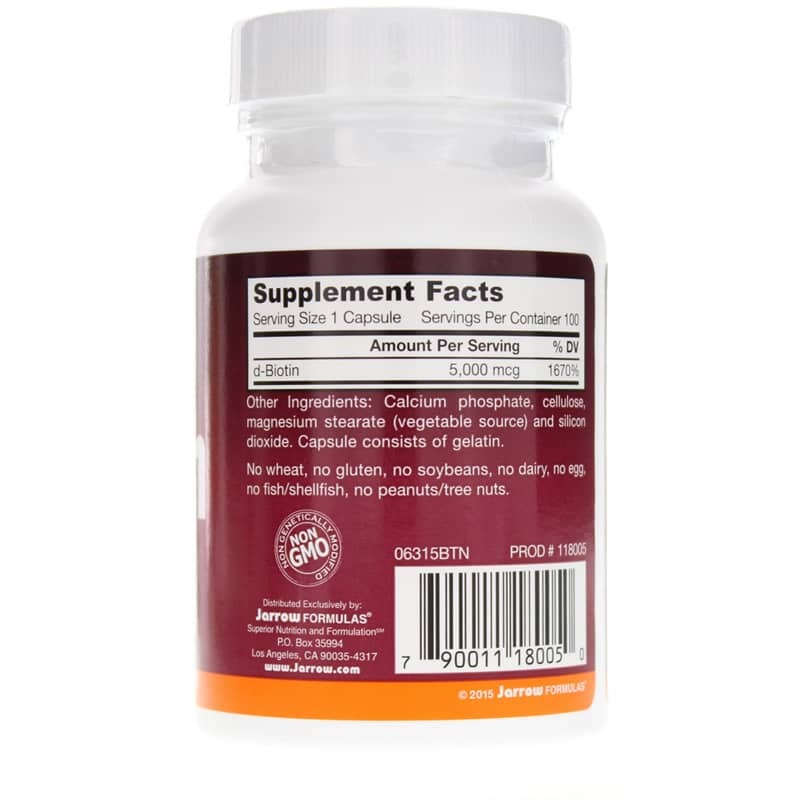 It provides a host of health benefits, including support for metabolism, energy, and healthy skin and hair. 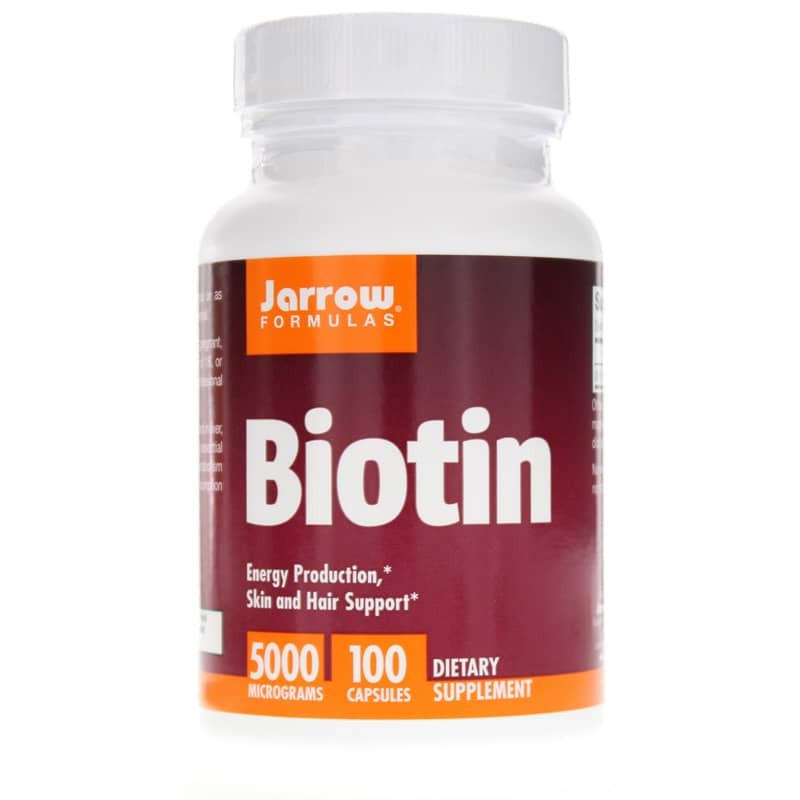 Biotin from Jarrow Formulas delivers 5,000 mcg of d-Biotin in every capsule for optimal health benefits. What are some of the benefits of using Biotin? Biotin from Jarrow Formulas is made without the use of many common food allergens, including wheat, gluten, soy, dairy, egg, fish, shellfish, peanuts, and tree nuts. Make the choice to support your overall health. Try Biotin capsules from Jarrow Formulas today and stay on the road to optimal overall wellness and health. Contains NO: GMOs, no wheat, no gluten, no soybeans, no dairy, no egg, no fish/shellfish, no peanuts/tree nuts. 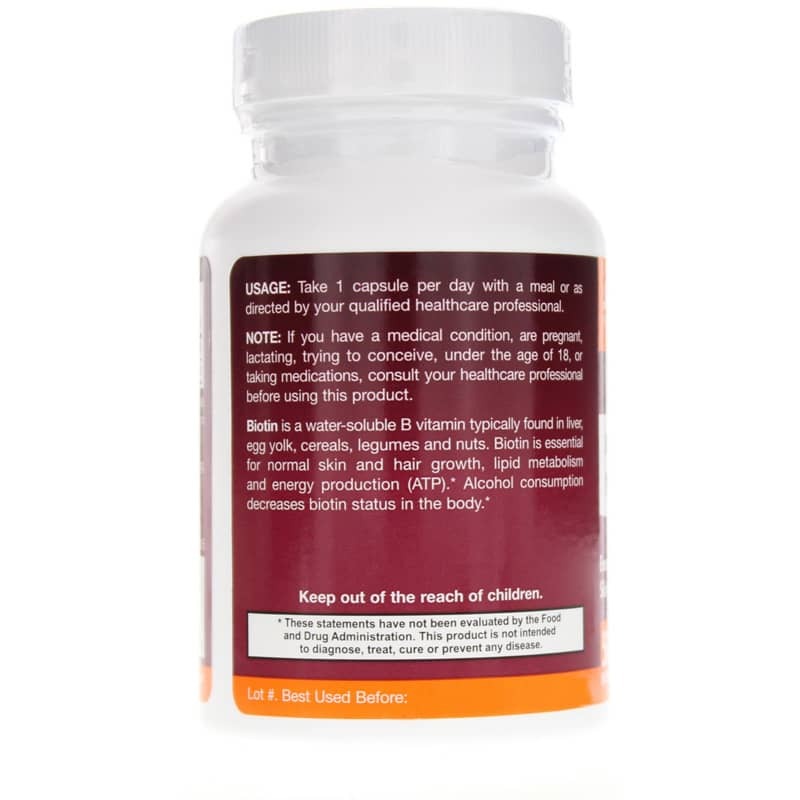 Adults: Take 1 capsule per day with a meal or as directed by your qualified healthcare professional.